Hat erst nach dem zweiten Durchgang seine Wirkung entfaltet, gelungen und schön instrumentalisiert. Geht toll ab, mit wunderbaren Melodien. Davon hatten sie ansatzweise auch einiges auf ihrem X&Y-Album - diesmal einfach noch etwas weicher. Schmeckt extrem nach der nächsten Single. Auch hier gefallen mir die Gitarrenklänge. <br>Muss aber auf 5 abrunden, da ich außer der Gitarrenklänge sonst nichts 6-Würdiges erkennen kann. This track has elements of Life In Technicolour in which I like. The guitar melody is excellent although I don't particularly grab the bass line, as its quite different and doesn't follow the basic 4 chord structure. The weird child-noises I sadly don't like either and it almost cost it a point.<br><br>(If you understand music theory you will understand this paragraph):<br>The best part however (besides the awesome guitar melody) is the tricky clever use of the beats in the chorus. They actually take away two of the beats so the chorus follows as 4 beats, then 2, followed by 4 finishing 4. Almost every typical song has 4, 4, 4, 4 so I very heartily applaud Coldplay for being exceptionally experimental, unique and different. Ein gemütlicher, gitarrenverspielter Coldplay-Track. Die Melodie ist nicht ganz so kernig aber insgesamt ist der Track dann doch hörenswert.<br><br>Mittlerweile hat sich mir auch dieser Track komplett entfaltet...schön gemacht. Genau, klingt richtig nach Coldplay. Gute Nummer. Met deze ode aan Charlie Brown is niks mis. ▒ Dit lekker nummerke was op 4 juni 2011 (als # 14) al live te beluisteren en te bewonderen in "Nürburg" bij de 26e uitgave van "Rock Am Ring", waar "Coldplay een geweldig concert weg gaf !!! Naja kostte ook meer dan 100 euro ☺!!! Het draagt iets van Life In Technicolor van Coldplay's vorige album. Neemt niet weg dat dit gewoon weer een uitstekende plaat is. Nice song, A bit of an odd sound at the start but the rest of the song was very enjoyable. Ganz guter Durchschnitt auf "Mylo Xyloto". Klassewerk van Coldplay zoals we ze gewoon zijn. Troisième single de "Mylo Xyloto", un des meilleurs titres, ça me va ! ETIAW & Paradise are better, This is alright though. Wieder so ein Coldplay-Song, der wie eine Farbexplosion tönt. Schöner Song, besonders die Instrumentalisierung ist toll gelungen. 5*<br><br>EDIT: Gleich die 6*, nach mehrmaligem Hören ist das so grandios. Very cool track with a weird title. That riff is really nice. Die sind grundsätzlich gut im Rennen, so auch hier. 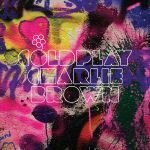 Spectacular track and have to admit that this is growing into one of my favourite Coldplay tracks. The music is amazing and mind-blowing, yet has a brilliantly peaceful essence about it. 5.5* - Could easily grow to a 6 soon. I didn't like it when I first heard it but in the context of an album it's average, not outstanding but fits in well. This was on an ad right? Peaked at #78 in Australia, 2012.<br><br>Peaked at #68 on my personal. Solider Song von Coldplay, aber wird keine grossen Spuren hinterlassen. Nice Track that took a while to grow on me. Wieder ein toller Song auf MX!